The Penultimate episode to the series is closing things nicely. 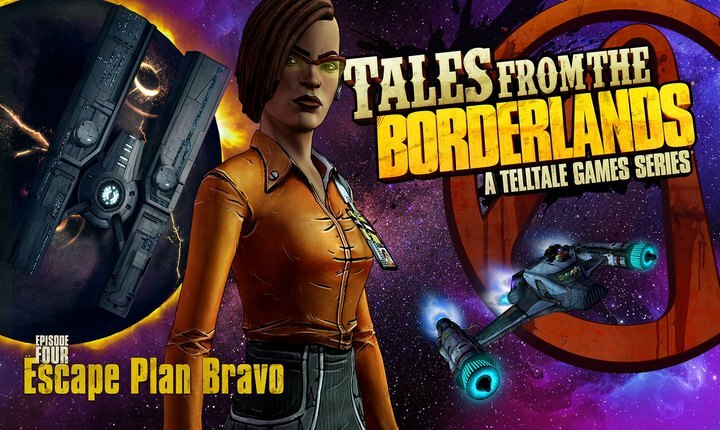 The Tales from the Borderlands series of games, if you read my reviews you know, is consistently entertaining and fun. Each episode so far has provided something unique in terms of story and gameplay that always keep the episode from getting boring or tedious. I honestly love how much effort and love went into making the past four episodes. I care about the characters and the universe. Everything just resonates so well with me in the series and chapter 4 is definitely no exception. 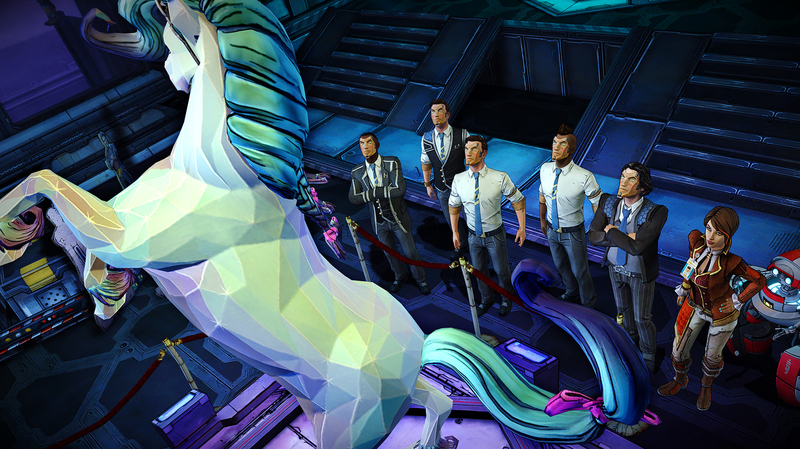 Tales from the Borderlands Episode 4: Escape Plan Bravo finally shines some light on the groups situation. Well, at least for a brief moment. 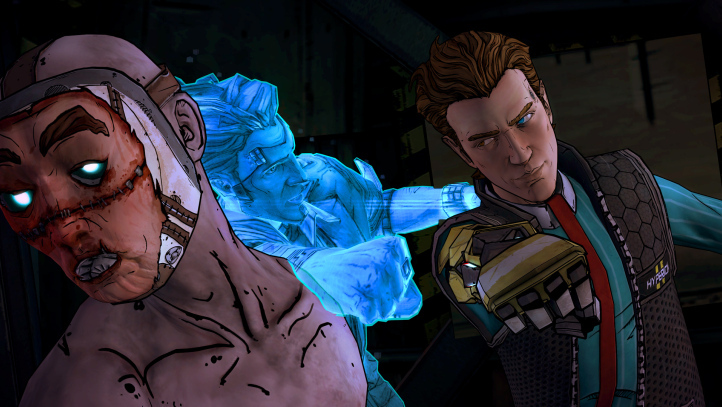 It wouldn’t be a Tales From The Borderlands game if something didn’t go awry and often. It is expected, but it works because I am always drawn to the characters and how each situation unfolds. This kind of reminds me of watching and playing your favorite movie and video game series. You know that the main characters will get into trouble over and over, but they always manage to get out of it using inventive and often times hilarious ways. How would you expect one of the main characters to get past security with facial recognition technology? Two words- Face Pizza. With each new chapter in this series, Tell Tale games seems to figure out new ways to bring in the action and the gross-outs. I won’t spoil anything here, but the aforementioned face pizza is equally hilarious and absolutely disgusting. It really works for the series. What also works is how this episode decided to handle its “violence”. There is an unforgettable scene where a “shootout” takes place that hits all the right notes and manages to not only be endearing, but my favorite part of the series as a whole so far. 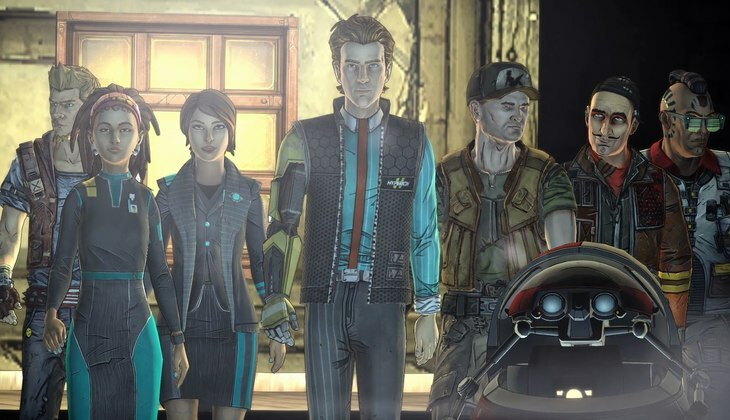 I felt like this break from Borderlands reality along with how it all played out felt so out of place that it worked incredibly well. I would honestly recommend playing the first three episodes just to get to this wonderful scene. Aside from all of the humor and “action”, there was a really great emotional weight her as well. A major event happens, which I cannot spoil here, that actually brings a pause to everything, but this sweet and heartbreaking moment. Fans of the Borderland series will actually be affected more so than players who have not spent more time in this universe. Nonetheless, this moment is quite moving and is handled in exactly the right way. The other bum note that gamers might agree with me on is the of a few familiar characters. There are some series regular cast that barely make an appearance. One of my favorite characters only showed up for about ten seconds via a brief phone call that just reminds players that he still exists in the world. Other than that one minor issue, I would have to say that Tales from the Borderlands Episode 4: Escape Plan Bravo is as entertaining if not more so than the previous entries. I have loved where the series is headed so far. The characters and events that unfold are so entertaining that I really don’t want any of it to end. This last episode along with the previous three have set up so much that I am not sure how they provide a satisfying conclusion is the one and a half to two hours it takes to finish each one. I have confidence in Tell Tale however, and I cannot wait for episode five. I highly recommend Episode 4 of Tales from the Borderlands as well as all previous episodes if you have yet to try them out.